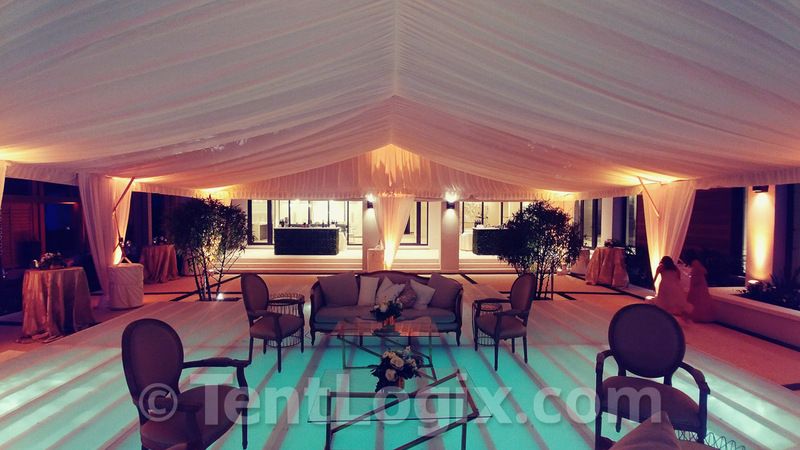 This gorgeous private wedding installation featured a frosted acrylic pool cover in an open-air, tented cocktail space with a glass wall overlooking the water. 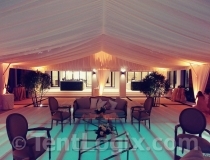 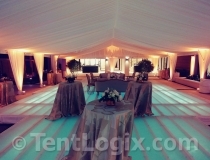 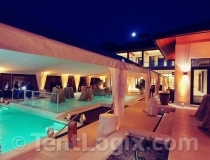 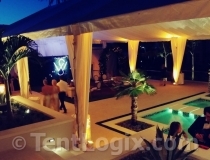 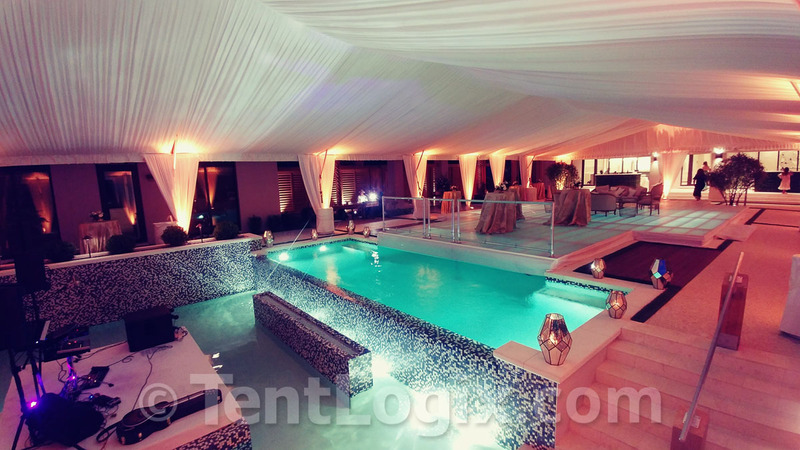 The cocktail tent also transitioned seamlessly into a separate structure for the reception. 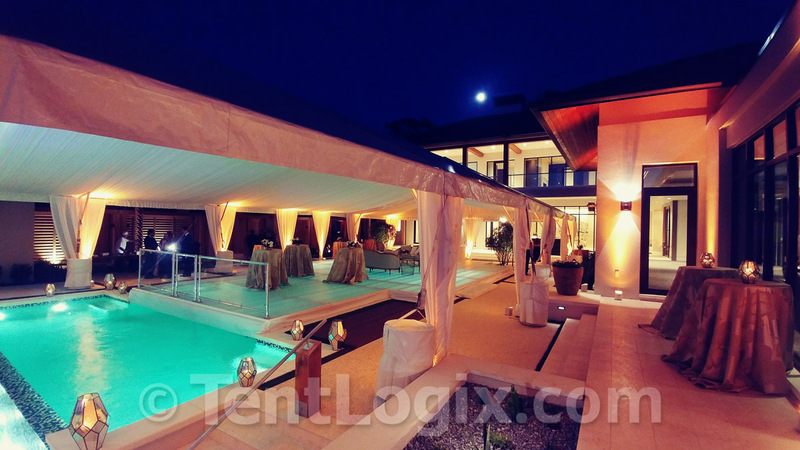 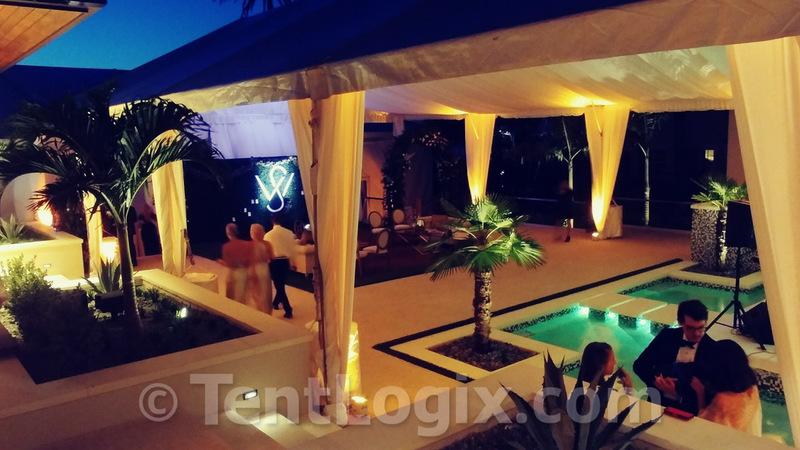 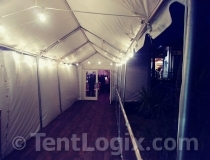 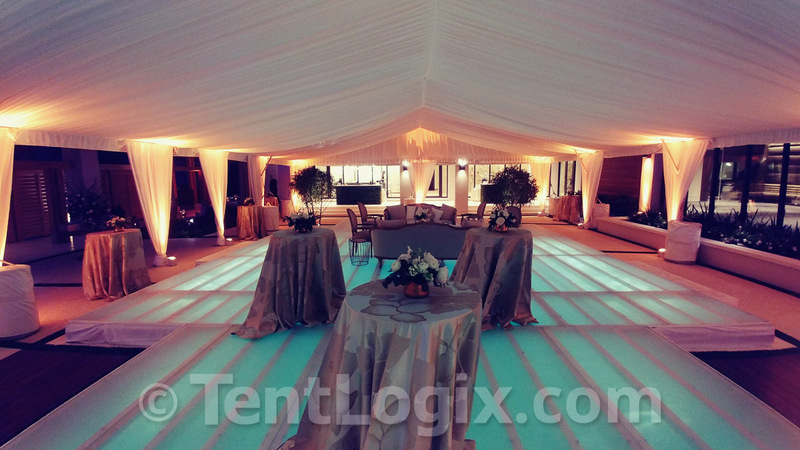 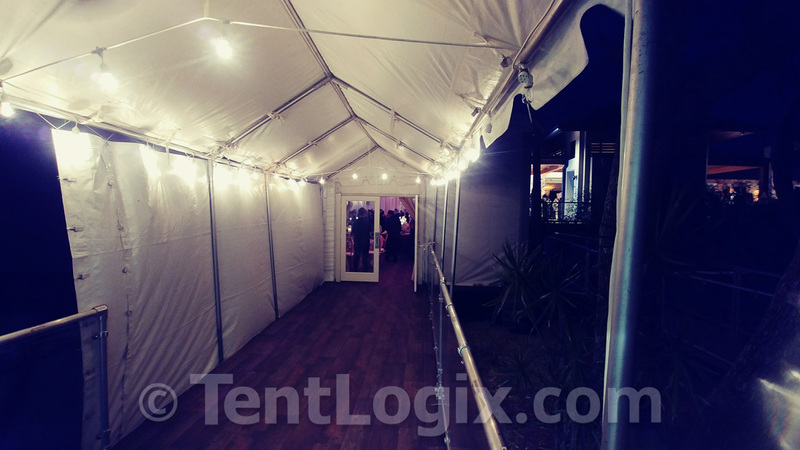 In addition to the structures and fabric tent liner, TentLogix provided temporary climate control, and faux wood flooring.